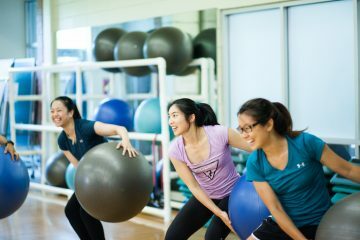 Join us for UBC’s newest physical activity and health program! Is health important to you? Are you curious about fitness? Join Move More, Learn More, a new 6-week program that teaches you about physical activity and health, and gives you the knowledge, skills, and confidence to get active and improve your physical and mental wellbeing. Register online before February 3 to secure your spot! This targeted program is open to all self-identified female students, with a specific focus on our Asian female student population – a group with (on average) low levels of physical activity. Move More, Learn More is designed for people starting out with health and fitness to try new exercises and see what fits your lifestyle. No experience is required and no specialized equipment is necessary! More information and how to register can be found online at: https://recreation.ubc.ca/get-moving/move-more-learn-more/.